One of the many small tasks for 0.17, was to solve the occasional problem I had when I didn't notice that one of my trains didn't have the refuelling automated. One train out of fuel can halt all the train logistics easily, and sometimes it takes quite a while to notice it. For this reason, we added an alert for trains running out of fuel when in automatic mode. On Monday we went to the National Library of Technology (NTK). As we mentioned a while ago, they have loaded their library PC's up with Factorio, and they invited us for a tour, and a Factorio LAN party. We got to have a look at their server infrastructure and inner workings of the library, including an automated splitter type machine for sorting which floors returned books go to. Surprisingly, there was quite a lot of local press at the event, and there were a couple of Czech articles published this week: Novinky.cz, České noviny. The big beacon is about 6" (15 cm) tall, and the base is about 6" in diameter, and it functions as a piggy bank, with a slot in the top to put in coins, and a hatch on the bottom to get them out. Everything he sent is really awesome, and we're super grateful for him sending them over (especially with all the customs problems on the first attempt). If you are interested in getting some of these items printed, you can check out the Factorio Thingiverse page. Fan creations such as this are really inspiring, and gives us great ideas for our own official Factorio products in the future. 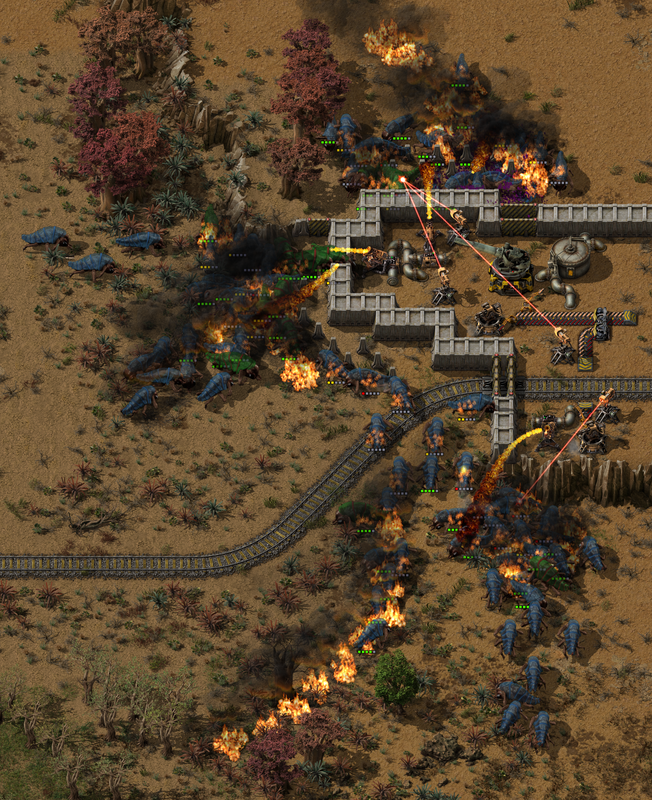 The final result is cheesing the game mechanics a little bit, but to quote kovarex: "It is emergent gameplay", so we can expect to see start seeing more rocket silo highways in factories to come. 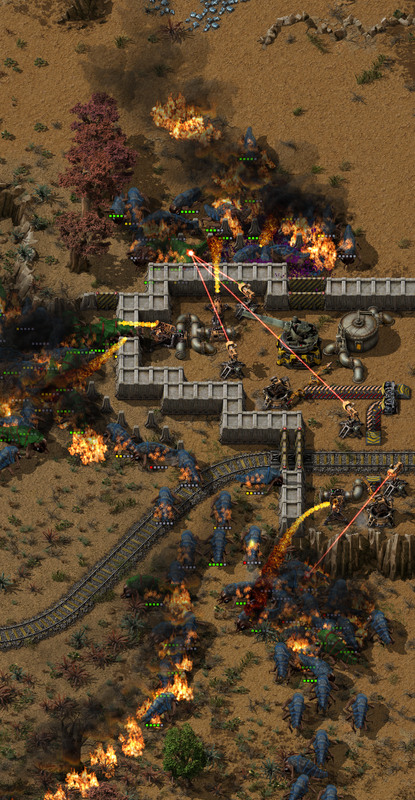 Ernestas and Vaclav recently finished off the defensive structures in high resolution. Notably, the walls and gates were completely redesigned, and now have a filler sprite when the wall is several layers thick.